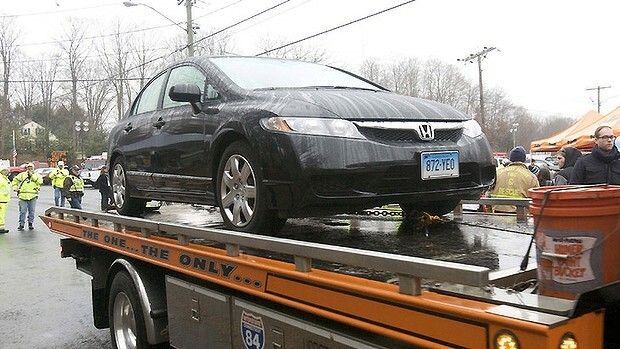 The notorious car photographed leaving the scene of the Sandy Hook school shooting does NOT belong to Adam Lanza or his mother. HUH? That's right. The audio from the police radio contains the vehicle registration request and reply. The car is registered to Christopher Rodia on charge for larceny and narcotics. Who is Christopher Rodia? - He is a 42 year old man from Norwalk CT. He has quite a list of previous drug and burglary charges, seems to be big on stealing leaf blowers and is currently awaiting trial for at least his 5th count of stealing a leaf blower. 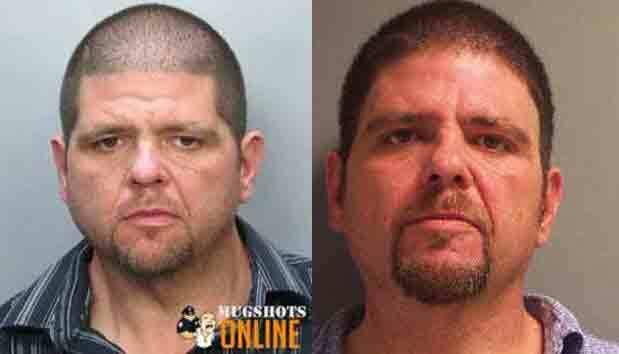 He had an active arrest warrant on October 8th. One of the more recent times he has been in the news was for stealing copper wire from a construction site with his 19 year old niece, Cassandra Scire. His court hearing was 12/21/2012 for Larceny, Forgery and Narc possession. Mr. Rodia's accomplice Cassandra Scire is his neice. They live in the same home at 19 Vollmer Ave., Norwalk, CT. Cassandra is affiliated with one George Uzar arrested with an arsenal of weapons. - Inside George Uzar Sr.'s Granite Drive home just north of the Merritt Parkway in the Cranbury section of Norwalk, police found a large number of automatic weapons, said Mayor Richard A. Moccia, who went to the scene when Uzar was arrested. "It's scary to see the amount of weapons that were taken there ... especially in a residential area that seemed so quiet," Moccia said on Friday. Then there is an issue of teacher Lauren Rousseau's car being riddled with bullets on the outside of the school. Whoever said there was shooting outside? Her Honda was green. - There was a gunfight at the O.K. corral in the parking lot. It may very well be that a drug deal went south and they shot it out. One of the 'second' shooters has been identified as well. If we look at the above pictures of Rousseau's car, pay attention to the upper image. Call me stoopid, but that looks like an exit hole. It craters out not in. Baby you can drive my car, but try NOT to shoot your gun off from inside please because then people will want to ban them. According to Rousseau, the slain teacher’s 2004 Honda Civic — parked outside the school — was riddled with bullets when authorities removed the vehicle. - “They need to take those assault weapons and burn them into a heap . . . maybe make a bridge out of them,” said Rousseau, 62, at her Danbury, Conn., home. A search of Whitepages shows Teresa Rousseau of Danbury, Ct but no association with Bill Leukhardt so one must ask who is this so called stepfather. Only listing for Bill Leukhardt and could actors have possibly been brought in from organizations like Crisis Actors or Vision Box. Crisis Actors, is an organizational member of the Open Media Foundation, will complete training in broadcast editing for our new producers at the television facilities of Denver Open Media. Who is in the business of "Helping schools and first responders create realistic drills, full-scale exercises, high-fidelity simulations, and interactive 3D films." according to it's website. 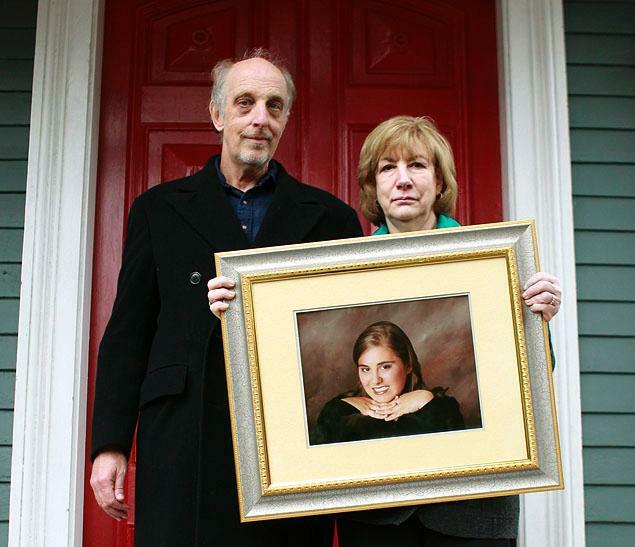 Teresa Rousseau and Bill Leukhardt, mother and stepfather of slain Sandy Hook Elementary teacher Lauren Rousseau, hold a picture of their daughter in front of their home in Danbury, Conn. The camo pants guy in the woods Christopher Manfredonia (supposedly a father of a child )who I will get to later, is still suspicious, especially when corroborated with the two shooter issue as first reported by teachers, he was moving toward the parking lot, would a father run away? "For light and momentary troubles are achieving for us an eternal glory that far outweighs them all, so we fix our eyes not on what is seen, but on what is unseen, since what is seen is temporary, but what is unseen is eternal. CODE FOR THE HIT SQUAD? - NOW THE MILLION DOLLAR QUESTION? The only proof we have that Nancy Lanza owned firearms was the media saying she did. There is no documentary evidence from the police who would have had to issue a permit after a serious application process that includes a fingerprint check. 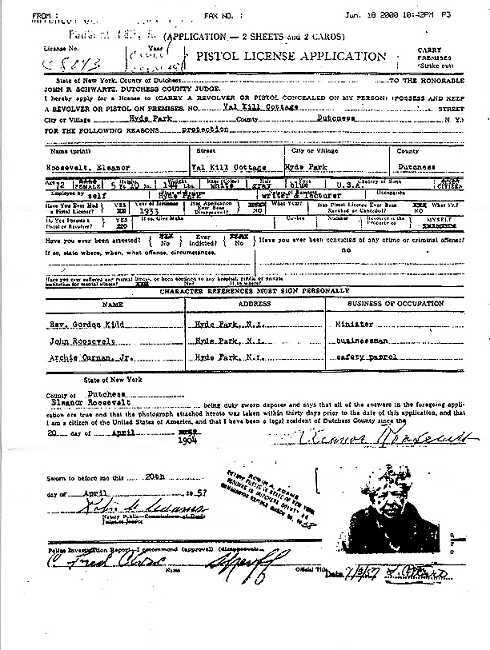 DID NANCY LANZA OWN ANY GUNS? And did Adam Lanza really exist, as again a whitepages search show Nancy's association with her ex husband Peter and son Ryan but shows no Adam listed at Nancy's residence or any associations. - As a case for comparison I can show you Eleanor Roosevelt owned and carried a firearm. Don't do as good liberals say. Do as good liberals do. PACK IRON! 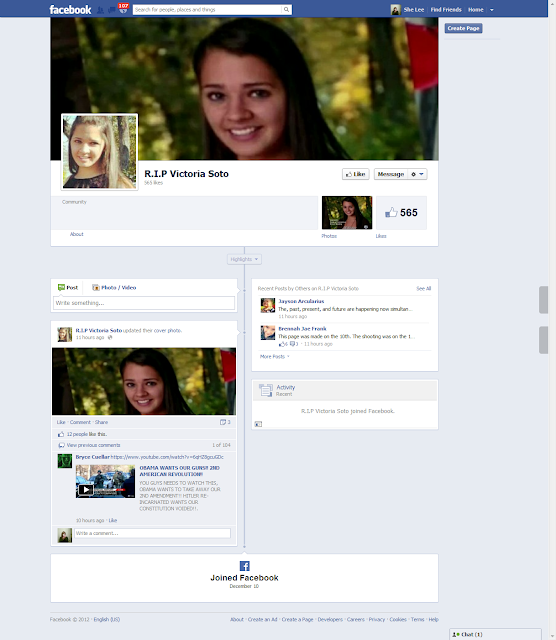 Apparently someone had the incite to create a RIP Facebook page for this hero on Dec 10th four days before the shooting. The more one researches this event as well as the Aurora Theater and Wisc. Temple shooting's, the inconsistent reports in all three. One begins to see the ulterior motives of a tyrannical Govt and it's lap dog media. The agenda to demonize gun's and it's owner's, our only remaining form of protection from a Govt. desperate to remove and shield itself from it's people before the deliberate collapse of the economy in 2013.